Beneath the sapphire waters of the Pacific shoreline, a pervasive threat to marine life grows. Human-produced carbon dioxide is altering the chemistry of the sea. To lead the future of climate change research, an interdisciplinary team of UC Davis scientists at the Bodega Marine Lab is collaborating to understand and confront an emergent global crisis. Across the planet, the oceans are becoming more acidic, as they absorb increased amounts of human-generated carbon dioxide gas from the atmosphere. Referred to as the “other CO2 problem,” the average pH level of the world’s oceans has decreased from 8.2 to 8.1 since the Industrial Revolution. That might not seem like much, but it represents a 26 percent climb in acidity, which is tipping the scales of a delicate balance 55 million years in the making. Moreover, this change is happening at rates that are likely unparalleled in Earth’s history. Roughly 30 percent of human-made CO2 is absorbed by the oceans. If high emissions continue, ocean acidification levels are projected to grow 144 percent by the year 2100. “There is essentially no time period in the geologic record that we can look at to find the same rate of change that we are imposing on the system today,” says Tessa Hill, associate professor of earth and planetary sciences at UC Davis. Shellfish play an important economic role, especially in California. When marine biologists begin focusing on economics, something unexpected happens. An outgrowth of the BOAR team’s community engagement efforts has been its collaboration with local shellfishery groups. 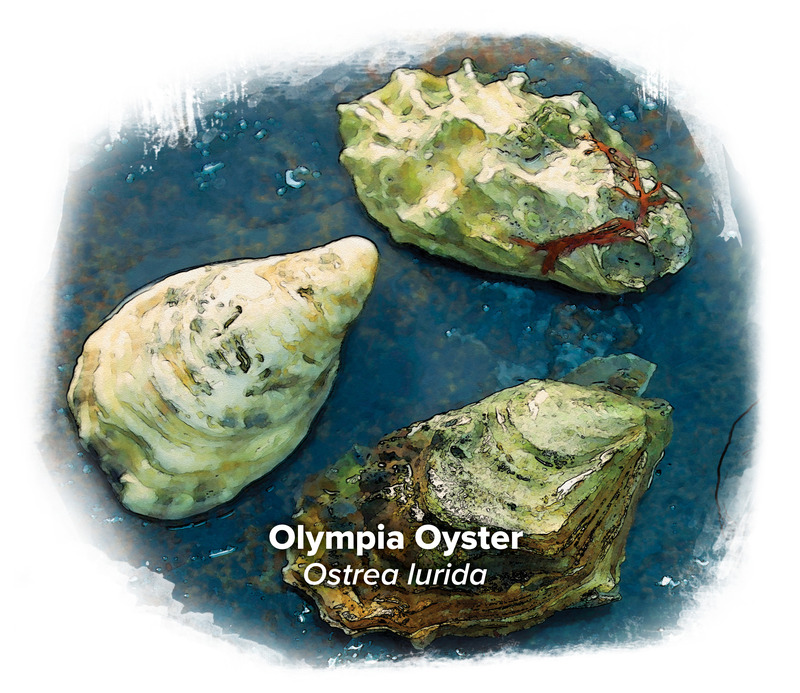 In 2012, the research group was approached by the leadership of Hog Island Oyster Co. of Marshall, Calif. Oyster farming works by placing bags of juveniles, called seed, in the natural ocean environment where they are subjected to acidified conditions. Hog Island had suffered high mortality rates with new seed and needed to answer some serious aquaculture and sustainability questions. As a family business, its owners needed a long term plan for the future. With state and federal grants, BOAR deployed sensors to measure the ocean chemistry parameters at Tomales Bay. These data, which can be viewed in real time, have been instrumental in influencing operations for the oyster business, helping to select the best locations and times to place seed bags. The science is of such value, a new Hog Island facility at Humbolt Bay will include a water chemistry lab. The Cultured Abalone Farm, which grows red abalone in Goleta, Calif., has also partnered with BOAR to improve the viability of its business. It is not logistically or economically feasible to prepare large volumes of seawater used in the farm tanks with a certain pH level. 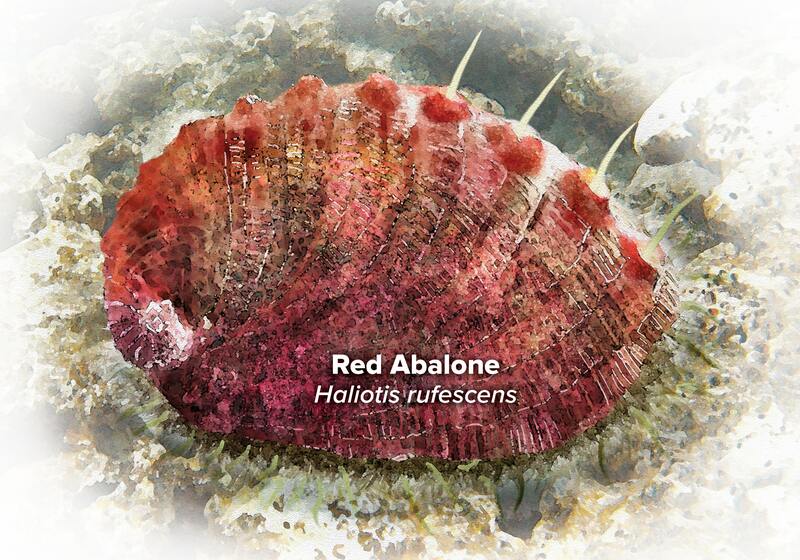 Instead, the goal is to identify and incorporate abalone that are more resistant to acidified water. “They view this very seriously as a threat, and therefore an opportunity for their business to integrate the science of climate change and ocean acidification into their daily decisions,” Hill says. “You cannot avoid the reality of this problem." In recent years, the culinary demand for shellfish has exploded, to the point that these invertebrates are becoming more economically significant to California than finfish. With the impending threat of ocean acidification and the associated effects on shellfish health and reproduction, successful businesses will have to rely more on scientific data if they wish to remain competitive. 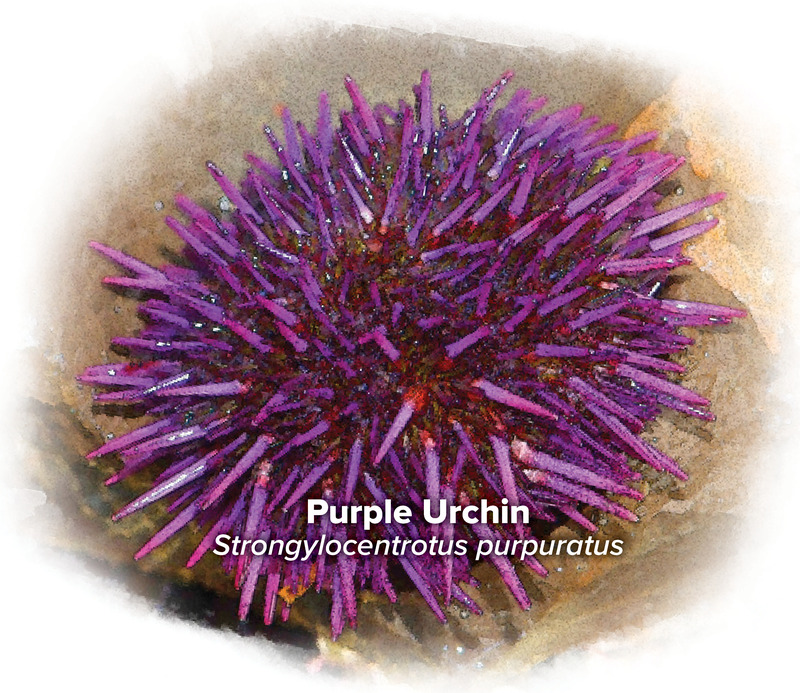 Ocean acidification most noticeably affects shelled creatures such as mussels, oysters, abalone and urchins. The intensified acidity curbs growth and degrades shell formation. It also elevates the energetic cost of maintaining internal body functions, weakening natural defenses. Together, these effects increase vulnerability to environmental stressors and predators, and decrease an organism's ability to successfully compete with other species. 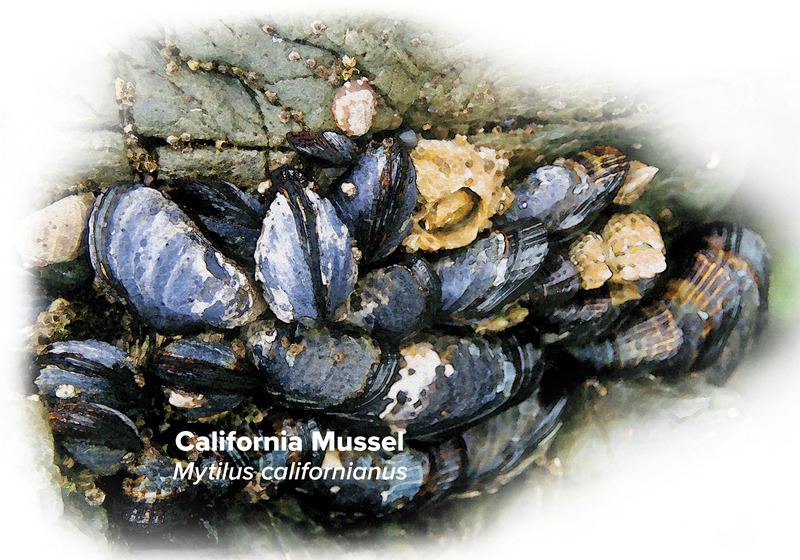 Among the animals susceptible to acidity are mussels, which form extensive shell aggregations that provide habitat for hundreds of other creatures that live within the complex structure of their beds. “Declines in habitat-forming species are one of the major concerns with ocean acidification, since these species support entire communities of organisms and thus substantial biodiversity,” says Brian Gaylord, professor of evolution and ecology at UC Davis. But the situation gets stranger. Some prey species behave unpredictably in acidified water. Coral reef fish may flee toward predators, and tide pool snails may mount incomplete escape responses to the sea stars that hunt them. It turns out that acidified water changes how signaling works in the nervous system, altering the function of key neurotransmitters. These unexpected behaviors may be the most alarming changes of all, because they are so difficult to predict and so little understood. For these animals, the most likely source of hope comes from their genetic variability, reflected in existing genetic differences among populations of the same species. If some variants tolerate acidification better than others, they should do better. For scientists, the race is on to identify the genetic traits that resist the effects of ocean acidification. Finding populations that survive and thrive in acidified conditions will bring more understanding about the effects on the system as a whole. The implications are wide-ranging. And as with most science, there are more questions than answers. What does a future with acidified oceans look like? What will happen if there is an irrevocable loss of mussels, oysters and other shellfish food sources? How will this scenario impact California coastal economies? Given the projections of increasing acidification, is there anything that can be done to avert this local and global crisis? The Bodega Ocean Acidification Research group is unlike most research teams. Integrating expertise from three UC Davis researchers from traditionally separate academic backgrounds, BOAR is a rare animal indeed. Its members are Brian Gaylord, physicist and ecologist, Tessa Hill, biogeochemist and paleo-oceanographer, and Eric Sanford, evolutionary ecologist and invertebrate biologist. They work as a team at the UC Davis Bodega Marine Laboratory, the primary field station of the recently established Coastal and Marine Sciences Institute. CMSI is uniting UC Davis across natural, physical and social sciences, engineering, veterinary medicine, law and policy to fuel new discoveries and deliver science that sustains coastal ecosystems and economies. BOAR embodies the core values of the larger marine science community at UC Davis, integrating disciplines to address the challenges of climate change in coastal systems. The Bodega Marine Laboratory is a global epicenter for ocean acidification research, as the Northern California coast sees natural surges in acidity due to a phenomenon called ocean upwelling. Winds push surface water away from the shore, which allows cold and nutrient rich, low pH water to rise to the surface. Human-generated ocean acidification compounds these already challenging starting conditions of naturally low pH. “You could even view the California coast as a window into what the future of the rest of the ocean will look like as pH levels shift,” Hill says. For the past nine years, BOAR has created experiments that mimic different projected rates of ocean acidification, along with other environmental stressors like increasing ocean surface temperatures, to study how individual species respond. For UC Davis students, the hands-on research experience they receive from leading scientists at the forefront of a global crisis has proved to be invaluable. Students working with the BOAR group receive training in chemical and physical oceanography, ecology, physiology, paleontology and more. These are the scientific skill sets of the future—things students would not have learned 10 years ago. UC Davis is committed to be the university of the 21st century, and innovations in education are preparing the next generation of scientists. Established in 2014 by CMSI, the Marine and Coastal Sciences undergraduate major is a cross-college program—the first of its kind—providing students with an interdisciplinary breadth of exposure and experience in natural and social sciences. Undergraduates begin with core instruction in general and marine sciences, and then select an area of specialization. 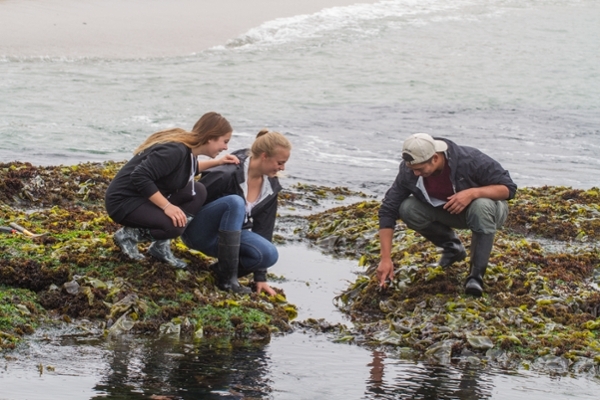 Students are required to conduct field work (the Bodega Marine Laboratory is a natural choice for most), as well complete a research or internship assignment for career preparation. “Being able to do my own fieldwork opened my eyes to the many possibilities I see in my future,” says Kiley Searle, Marine and Coastal Sciences major. With the average cohort size of 20-25, students receive individualized attention from world-class faculty. They are supported by a staff advisor and four faculty advisors. Today, most grant proposals being funded come from collaborative teams from different areas of expertise, which represents a dramatic shift in scientific culture. The study of ocean acidification has been primarily concerned with single species in isolated, controlled settings. This has been the easy part. 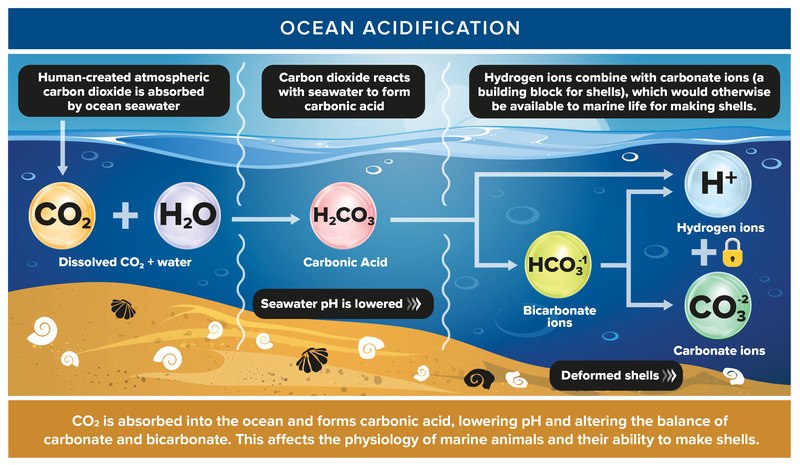 Hundreds of papers are published each year on ocean acidification, but little is known about effects on the interactions between species. A new generation of research will shift the focus to how these interactions in acidified conditions shape biological systems as a whole. BOAR researchers are also evaluating the potential for seagrass meadows to help mitigate acidified conditions. Seagrasses, like other plants, extract carbon dioxide from the environment through photosynthesis. Within Tomales Bay, there is a quest to understand how and to what extent seagrass beds can buffer local ocean chemistry. If they can reduce C02 (and increase pH), over what spatial scale? Is it just inside the bed, meters away, or even a larger area? As awareness of ocean acidification goes mainstream, the BOAR group and its partners are working to make themselves and their science available to the public. The goal is to help policy makers and managers gather better information. “I think most scientists would be very happy to know that their work was being read and understood and used by people who make decisions, including voters,” says Hill. While progress in understanding the consequences of ocean acidification is continuing, one takeaway is abundantly clear. There will be significant changes to the planet’s oceans. Among both marine organisms and coastal economies, there will be winners and losers. The future will belong to those who can respond effectively and adapt.